Yesterday, the Rosh Pina Project (RPP), whose work in challenging those who support Arab terrorism against Israel I greatly respect, published a blog post called Messianic Jewish “Rabbis”: The New Testament is part of the Torah. The blog post itself is a very short commentary on the Messianic Jewish Rabbinical Council’s decisions and self-definition of what it is to be a Rabbi in Messianic Jewish community. However, what really got my attention occurred in the comments section of that blog post. I’ve always been a little baffled when Jewish people willingly convert to (Gentile) Christianity, disdain the Torah, the mitzvot, the Shabbat, and the Biblical moadim (festivals) in favor of Christmas, Easter, and the “freedom” to eat ham sandwiches. OK, I’m being a little snarky here, but remember, I have been married to a Jewish wife for over 30 years (although she hasn’t been “religious” all that time, and even now, her observance isn’t as full as I wish it was), so I have a rather unique perspective on what being Jewish means to her, including her special and precious covenant relationship with Hashem (God). I don’t know the history or background of most of the people commenting at RPP, but it seems that at least some of them are believing Jews in the vein of “Hebrew Christians,” Jews who attend church along with their Gentile Christian counterparts, adopting the lifestyle and beliefs of the believing “Goyim,” and being Jewish in name and DNA only. To me (but who am I to talk? 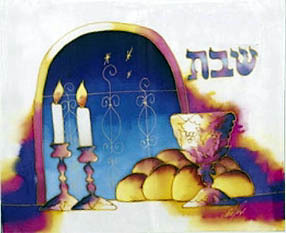 ), a large part of being a Jew of faith is living a life of Jewish praxis, of lighting the Shabbos candles, davening with a minyan, attending the prayer and Torah services in synagogue on Shabbat, donning a tallit and laying tefillin to pray, and many other things that are inexorably intertwined with observing the Torah mitzvot and living life as a Jew. Even as I’m writing this, one or more comments responding to the one I made at the aforementioned RPP blog post, are being published, so it’s going to be interesting writing this while commenting there. I feel like I’m repeating myself in making my points, but to believe the traditional Christian view of Galatians 4 that the Torah is slavery or Hebrews 8:13 that the Torah is obsolete, and thus replaced rather than augmented by the New Covenant (Jeremiah 31; Ezekiel 36) means that God lied to Israel when He gave them the Torah at Sinai and when He promised to redeem Israel as Israel in the New Covenant promises. I’ve written so much about the New Covenant, why it adds to and augments the Sinai and other covenants God made with Israel, why Israel, that is, the Jewish people, have been and always will be special and unique to God, even among the ekklesia of Jews and Gentiles who worship the God of Israel and bring honor to Yeshua, our Rav and King. I don’t want to write it all down again in a single blog post. It wouldn’t be an essay, it would be a small book (and believe me, I’ve thought of collecting certain of my blog series into a book, but who’d publish it?). To understand my perspective on the nature of the New Covenant as summarized in a single blog post, read The Jesus Covenant Part 11: Building My Model. I went through something of a crisis of faith a few years back when I realized that there is nothing whatsoever in the New Covenant language that promises salvation or a place in the world to come to non-Jewish, non-Israel people who believe in Jesus. The fact that Yeshua mentions the New Covenant in his blood in Matthew 26:28, Mark 14:24, and Luke 22:20 has no apparent connection to Jeremiah 31 and Ezekiel 36 at all. So I spent somewhere around nine months or so complaining in the blogosphere, asking for help from anyone I thought would/should know how to make that connection. Ultimately, I made it myself through a lot of study and investigation. No wonder most Christians just take the “this is the new covenant in my blood” statement and how to interpret it for granted. If you really look at it, the statement is like a castle built on air if you don’t understand how all of the covenants work together. The Church doesn’t teach that part. You have to dig it out for yourself. Recently, I wrote a blog post that clarified how we non-Jewish disciples do not have a covenant relationship with God at all, but rather, we rely on faith and trust alone to assure us that God’s great mercy and grace allows us to participate in blessings of the New Covenant without being named parties. But for the Jews, it’s a different matter. Acts 15 makes it clear that our participation in God’s blessings does not require the same rigorous involvement in covenant mitzvot as God requires of the Jewish people and nation. Nothing in the New Covenant language states that it replaces the old. Paul’s Hagar and Sarah midrash in Galatians 4 challenges the traditional Christian interpretation of Torah as slavery, and my review of D. Thomas Lancaster’s sermon Glory to Glory clarifies the meaning of a previous covenant becoming old and growing ready to disappear. It’s not the conditions and requirements of the Sinai covenant (Torah) that are disappearing, it’s the difference between the Torah being external and internal. 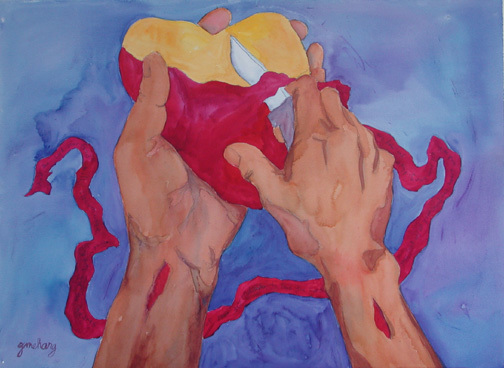 In the Messianic Age, Jews will have the Torah written on their hearts; wholly internalized so it’s natural for them to be obedient to God in performance of the mitzvot, thus it will be humanly possible to serve God without sin. I think I know where the fine folks at RPP are coming from. A month or so ago, I wrote Exploring Reformed Theology: The Fallacy of Covenant Equality Between the Church and Israel. Doing this investigation actually helped me understand why Christians think it’s logical and Biblical to believe that Jesus observing the Torah mitzvot perfectly “fulfilled righteousness,” and thus rendered it unnecessary for Jews to continue to be Torah observant, and eliminates the requirement for the Sinai covenant. I just happen to believe that interpretation is in error and was ultimately created as a consequence of the ugly divorce that happened between the Gentile novices and their Jewish teachers and mentors within the first century or less after Yeshua’s ascension, and ended up becoming the Christian Church’s two-thousand year old mistake. I know from a traditional Christian point of view, the continued practice of Rabbinic Judaism for the past nearly twenty centuries, is considered to be the “mistake.” From that point of view, Jews should have abandoned Jewish praxis, if not Jewish identity, and converted to Christianity the way Paul did in Acts 9 (except he didn’t convert, he just changed Ravs and took on a more Judaically enlightened perspective and purpose based on his supernatural revelation). 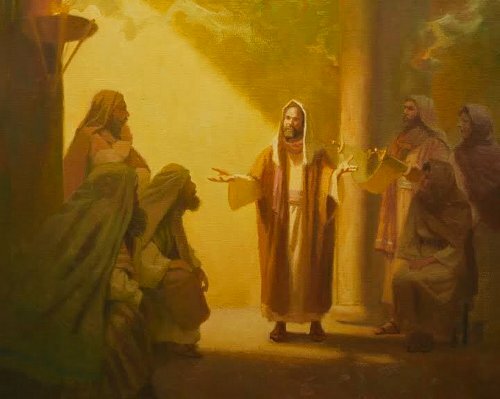 To my way of reading the Apostolic scriptures, the Jewish disciples of Rav Yeshua did not cease Jewish practice, did not cease the traditional prayers, did not cease offering Korban at the Holy Temple, and did not renounce the Torah. I don’t have the time to pull in all the necessary quotes from the Bible to illustrate my points, which is why I’m peppering this blog post with links to many other of my essays. However, when Paul was falsely accused of “teaching all the Jews who are among the Gentiles to forsake Moses, telling them not to circumcise their children nor to walk according to the customs,” the thousands of Yeshua-believing Jews who were all “zealous for the Torah” doubted Paul because of these rumors. Paul had to do something to convince these Jews and their non-Yeshua-believing brothers, that he had never turned away from Torah or Temple and had never taught other Jews in the diaspora to do the same. Unfortunately, that didn’t work out as planned, but if you follow the progression of trials Paul went through as depicted in Luke’s Book of Acts, you’ll see that Paul never agreed with the false accusations against him. He always maintained his innocence and repeatedly stated that he never committed a crime against Roman law or Torah. An excellent book describing Paul’s trials is John W. Mauck’s Paul On Trial: The Book Of Acts As A Defense Of Christianity which I reviewed in part in this blog post. Even Christianity Today published an article some years back stating that Paul was not anti-Judaism, and I’ve written a commentary on their viewpoint as well. Last year, I wrote a response to challenges against the viability of Messianic Judaism as a Judaism, and a couple of years back, I championed the necessity of Messianic Jewish community as a fully-realized Jewish community. I agreed with Rabbi Stuart Dauermann that the “Jewish people are ‘us’ not ‘them,'” meaning that Messianic Jews are part of the larger community of Jewish people, not “Christians in kippot” who see non-Yeshua believing Jews as something alien and apart. While I’m throwing in links, let me direct you to the excellent volume compiled by Mark Nanos and Magnus Zetterholm called Paul within Judaism: Restoring the First-Century Context to the Apostle. There is a growing movement of Jewish and Christian New Testament scholars (and that’s a pretty amazing statement in and of itself) who are re-examining the writings of Paul without peering through traditional interpretive lens of the Church, investigating Paul’s intent and meaning as a Pharisaic Jew rather than a Christian convert. The results are quite enlightening and, since we depend on Paul for much of our understanding of early “Christian” theology and doctrine, if we reconstruct him back into his Jewish environment and then re-read his letters, we get a very different view of the Apostle to the Gentiles and what he was actually trying to communicate. Christianity, as we understand it today, was invented by a Gentile majority population within the ancient and short-lived Jewish religious stream of Yeshua believers once called “the Way”. Christianity had to occur in order for these Gentiles to “divorce” themselves, not only from their Jewish teachers, but from the wholly Jewish and Israel oriented message of the Messiah, re-interpreting the ancient Jewish writings to say what they were never intended to say. Only two-thousand years of Christian dogma make it seem as if replacement or fulfillment theology is at all reasonable, let alone Biblical. The “good news” of Yeshua has always been about the coming of the New Covenant, the fulfillment of God’s promises to Israel, to restore them, to restore the Temple, to restore the Levitical priesthood (start reading at Jeremiah 31 and go forward through the subsequent chapters…it’s all there). It’s always been about good news for Israel first, and then because of that, also good news for the people of the nations, that is, the rest of us. But if Jewish people, Jewish praxis, Jewish covenant connection with God, and Judaism as a lifestyle and expression of the covenants goes away and is replaced by Gentile Christianity and a Gentile Jesus, not only does Israel’s “good news” go up in a puff of smoke, so does ours. Gentile salvation and reconciliation to God only happens because of Israel’s covenants with God. If you replace them, then you drive the Jews away from God for all time and you destroy any hope the rest of the world has, because we depend on Israel’s covenant linkage to God to metaphorically link us (graft us in), too. I’m sorry. I know there are many good and faithful Hebrew Christians in the Church and they really do believe the Torah is not only obsolete, but actually an error. It’s incredibly sad, because a Jew is the only person who is born into a covenant relationship with God, whether he or she wants to be or not. For them to be erroneously taught that their unique identity and relationship with God through the Sinai and other covenants, including the New Covenant, has been done away with, is to cause them to stumble in that relationship with Hashem and with Messiah. It was this sort of Christian eisegesis that finally resulted in me leaving the Church. In John 4:22, Yeshua famously said that “salvation comes from the Jews” and he wasn’t kidding. If the Church got her wish and converted 100% of the worldwide Jewish population to Gentile Christianity causing them to abandon the mitzvot and the covenants, we would not only be risking Israel’s future but our own. The Jewish people have been living out their covenantal lifestyle against the constant threat of genocide for thousands of years. Don’t let conversion and assimilation finish what Haman and Hitler started. There is another way, a better way for a Jew to accept the revelation of Yeshua as Rav and Messiah. That way is to accept Jewish devotion to Yeshua and worship of the God of Israel as a Judaism, not Christianity. No, we non-Jews don’t exactly practice “Judaism,” even when we accept the Jewishness of Yeshua-faith, but we do recognize that Jewish people do have that obligation, even as we come alongside of them in the ekklesia. If you are a non-Jewish Christian, then it is your duty to support observance of the mitzvot among the Jewish disciples of Yeshua. If you are a Jewish disciple in the manner of the Hebrew Christians, at least consider idea that your connectedness to God is much more than what you’ve been taught, that you are more unique and precious to God as a Jew than the Church will ever be willing to admit. If nothing else, right before the sun goes down this coming Friday evening, say the blessings and light the candles to welcome Shabbos into your home as a Jew. Judaism isn’t an all or nothing religion. It happens one mitzvah at a time. Turn your heart back to the Torah and thus back to God, and He will certainly turn His heart to you. Wow! Reading your posts is like meeting the long-lost friend I’ve been searching for over the last few years, I’ve come to almost the exact same positions as you, even though I don’t expect to leave my Reformed tradition church, I’m finding more and more points of friction between my beliefs and those in my church. In fact, as I’ve dug further into Reformed Theology, I’m convinced that Covenant Theology is actually Covenant Theft. Greetings pkananen (I assume that’s P. Kananen). Thanks for your kind comments. I don’t normally allow links to be posted by first time commenters or people I don’t know a little bit better than you, but I’m willing to make an exception (Sorry…the Internet is like the Wild West and there’s no Marshall Dillon in sight). I visited your blog and it seems to be quite new to the blogosphere. Given what I understand of your perspective, I can only imagine there must be at least a little dissonance between your beliefs and your continued community within the Reformed church. On the other hand, you could be a witness to those who are interested, in a more Judaic perspective on the Apostolic scriptures and why the “good news” is especially good news to Israel and the Jewish people. The primary difficulty for Christians and the Torah is the idea of Pharisaism…as if Yeshua was not a Pharisee of the Hillel School, as opposed to the legalistic, tradition focused and gentile-averse Pharisees of the School of Shammai. So much is said in the Gospels that put Pharisees into a bad light, that every Pharisee is assumed to be a legalistic Talmudist, walking after their own traditions, and not the Covenants between G-d and His people, the Israelites. They do not see that Yeshua kept some of the traditions of the Elders within Judaism, and objected primarily to the traditions having more value and credence to the Shammaite and even some Hillelite Pharisees than the commandments of YHVH. Christians see themselves as non-Pharisees, and yet somehow also Israelites, which no goyim can be. He either converts and becomes a Jew/Israelite; clings to the Messianic Jews, and adopts their praxis bit by bit though they may never convert; or he remains of the nations, and steals the ideas and promises from the Israelites as a Christian with no remnant of Judaism within their thought or praxis. They take the New Covenant as a covenant made only for those who are adherents of the Western Ideas of Jesus Christ…who is not always the Yeshua haMashiach that he began and ended his life as. I understand the heart-cry of the gentiles to be Israelites, because they want the promises so badly…they just think they need not even consider what G-d has truly asked of those who would be His children…to be obedient to what G-d has asked of the Israelites in the original gift of the Mosaic Covenant, and do not realize that what they are doing is throwing the commandments of G-d back into His face, and expecting to be praised for it because of their love for Christ Jesus as seen through the last 1900 years of Christian revisionism. I do not yet keep all of the commandments within the covenants, old or newer, nor do I expect to…it is very difficult to add on mitzvot in total isolation amongst a sea of gentile Christians at the last quarter of one’s life, and yet, I do add them on a little better week by week, not because I ever wished to convert to Messianic Judaism, but because I believe I already have done so in my heart, without even realizing it. 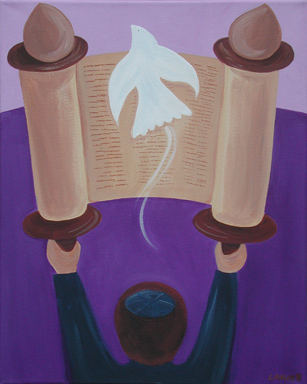 The Ruach haKodesh has made changes in me that I did not expect, and did not want when I began my journey towards G-d 53 years ago when I first learned of Yeshua. I am an isolated Believer in Yeshua, with no Believing community to support me, and thus it is so for all of us that look deeper than the parroted beliefs of the various Christian communities that outnumber and overwhelm the few Messianic Jews that struggle to keep their inheritance in Israel, and at the same time accept the teachings of their Rav Yeshua. It appears that I will be a Ger Tsaddik in time, as I am Talmid Yeshua, and I am content with that, and so it seems is the Ruach haKodesh within me. However, my friends within Christendom are eyeing me warily, as if my following the promptings of the Ruach haKodesh is contagious, dangerous, and must be fought against by them. I do not love them the less, for they are true Believers in Yeshua’s saving grace, if somewhat confused about their rights under a covenant that does not pertain to them. They do have the Ruach haKodesh working with them, however, I find it very difficult to have a decent conversation with these Christians without running up against a line that seems to have been drawn in the sand between us, where one side adheres to the validity of the Covenant of G-d, and the other side adheres to a false belief that that the Covenants between G-d and Israel have been subsumed in the ‘New’ covenant which is in the possession of the Christian Believers alone. The bottom line (and I have numbers to back it up, not to mention personal experience and years of observation) is that Jewish-born individuals who become Jesus/Yeshua-worshipers (and especially their children) assimilate away from the Jewish community regardless of whether they practice the “Jewish devotion of Yeshua” (i.e. “Messianic Judaism”) or prefer (as most do) to attend mainstream Christian churches. To worship Jesus as god or to see him in any special way as he is viewed within Christianity, is what, it appears, sets them up for this eventuality, because it alienates them from the Jewish fold. Participation in Messianic Judaism, however, at least for some in the first generation who keep up the questioning that led them out of mainstream Evangelicalism in the first place, does provide an opportunity to eventually exit Christianity for good. This is why I believe that “Messianic Judaism” does have some positive role to play, ironically. And if their children of former MJ’s are young enough, as I was fortunate to have, the children will smoothly transition into the mainstream Jewish community with little to no memory of their previous experience in Christianity. (Some if not most children may have to undergo conversion, since most wives of MJs – even among top leadership – are not Jewish, and will also have to convert if they wish to join the Jewish community alongside their husbands as full members). James as I sit here on “Good Friday” reading this, I’ve been quite moved to tears. I’ve been attending a church, more out of support for my wife and kids then myself. For years, more then 20 or so, I’ve had total disconnect w/ traditional Christian theology. The dissonance is glaring. As a result of questioning things, including Gentiles NOT being included in the Jer.31 promise, I’ve been called an enemy of the Church on two occasions, and even had my faith called into question by my own wife. It is so hard for people to accept that Jewish people are born into a covenant w/ HaShem, and not Gentiles. Your writtings help me put what I believe into words, that enables me to explain it others, in a more respectful way. Thanks! Wow, just want to repeat your saying: “In John 4:22, Yeshua famously said that “salvation comes from the Jews” and he wasn’t kidding. If the Church got her wish and converted 100% of the worldwide Jewish population to Gentile Christianity causing them to abandon the mitzvot and the covenants, we would not only be risking Israel’s future but our own.” So true, something very important. @pkananen: “Covenant Theology is actually Covenant Theft.” It is because they don’t see the picture since Judaism was wiped out. And not only that, it seems that 2000 years of Christianity was completely separated from jewishkeit by purpose. God’s purpose. Judaism however is the father to whom the christian child can be fit back into. Not the other way around, christianity cannot adopt judaism, but judaism can adopt christianity and also their so called covenant (of grace). Then they did not steal it, but they borrow it. @Gene: I spent the day with one of my sons helping him clean his house getting it ready for sale. He said he’s been thinking about attending congregation again. He’s going through a tough time and a woman he knows, a Mormon, has been a good listener for him. For a cold minute, I thought he might be considering the Mormon church, so I asked him. He said to my relief, that he’s been considering going back to synagogue. He also said he doesn’t believe in Christianity. You might find this hard to believe, but I’d rather he go to synagogue than a church at this point. I told him I’d be delighted if at least one of my Jewish children became observant. No, I haven’t lost my faith and it’s not like I don’t want him to come to a Jewish faith in Yeshua, but Gentile Christianity has been the chief architect historically in the attempt to destroy the Jewish people through conversion and assimilation (and often, by stronger means), and enough is enough. I know that there are only a tiny minority of halachically Jewish people who share their devotion to Yeshua in a truly lived Jewish community, but it’s that Jewish community that’s my vision of what the future will be like. For now however, if my wife and any of my children choose normative Jewish observance, I am definitely in support of that. @Tony: I know what it’s like to be at odds with one’s wife over religion and believe me, it’s not an easy road. It’s tough to stick to your convictions when it flies in the face of what your family believes. 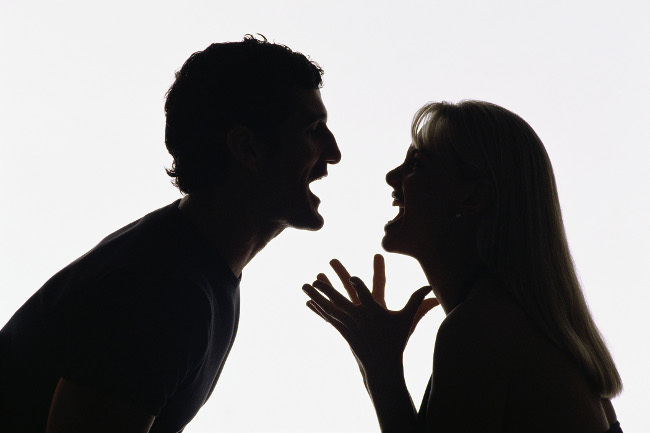 There are a lot of conversations I don’t have with my wife to keep peace in the family. I suppose it’s one of the reasons I have this blog. There are just too few people in my face-to-face life I can talk to about all this. What is the difference between a Messianic Jew and a Messianic Gentile? A Messianic Jew is Jewish and has a very specifically Jewish understanding of Yeshua as Messiah, while a Messianic Gentile is not a Jew but shares that same perspective on Yeshua. Do Messianic Jews and Messianic Gentiles worship Jesus like Christians? I really appreciate you explaining the concepts. I struggled with the “Messianic Jew” title when the majority of Messianic Jews follow Trinitarian Christian homoousios principles. It’s really clear now. Messianic Judaismas is another Christian denomination. If you mean, are Messianic Jewish religious services like Christian services, the answer is “no”. 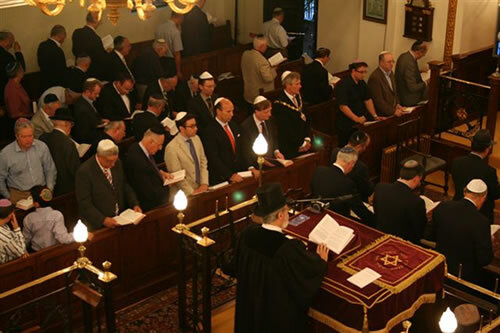 In a Messianic Jewish synagogue, as I ideally envision it, the worship service should be almost indistinguishable from a normative synagogue service with just some additional mention of Yeshua. An understanding of Messianic Judaism is to grasp the concept within a fully Jewish context.